The future is here. Now let's have some fun with it! You've heard about Virtual Reality. You've probably heard that Facebook and Youtube now support 360-degree videos. You've seen Google street-view. Now you can be a part of the future. Get ready to be amazed. 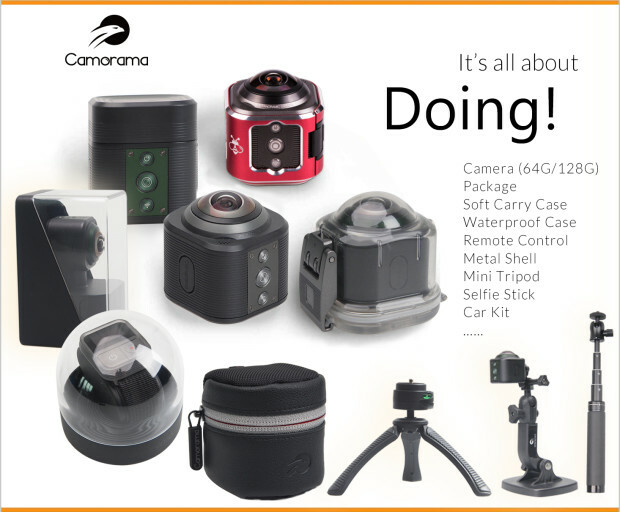 We have been working on the easiest to use, most portable panoramic camera in the world. 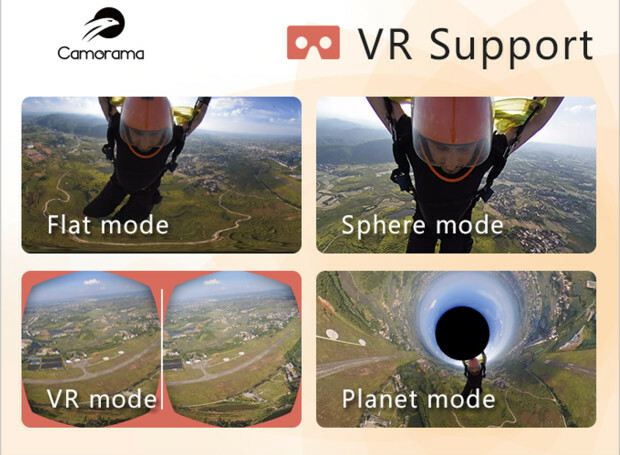 Previously reserved for professional photographers, Camorama brings 360-degree video shooting to the masses bringing 4K quality and significantly lowering the price of entry. Get ready to be stunned if you haven't seen 360-degree videos yet. 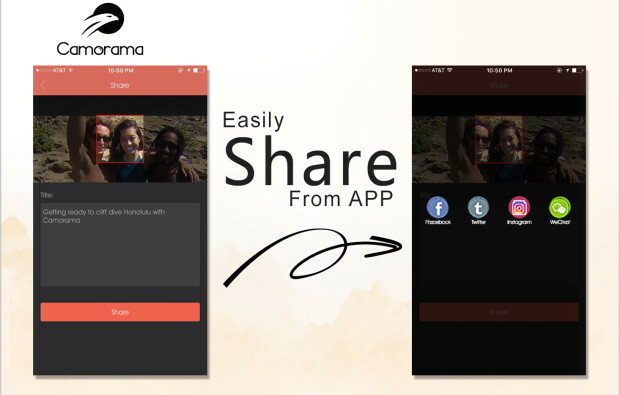 Take amazing 4k detailed pictures and share instantly on social media. Go Virtual reality and watch with your VR Goggles. No need for multiple cameras! No Stitching! 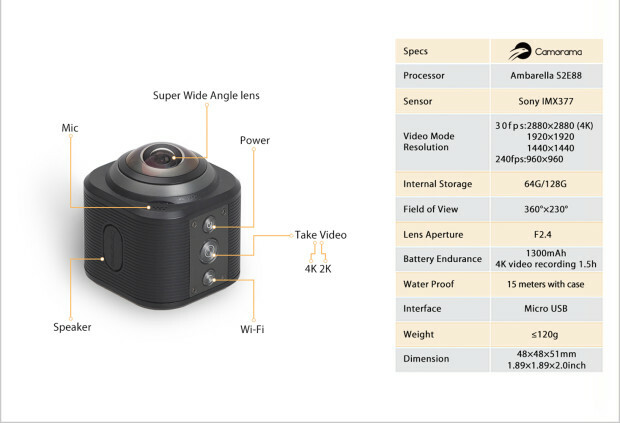 The camera can be used manually with the buttons and later imported by USB to PC or Mac. However, to use the app, Android 5.0+ or iPhone 5+ iOS8.0+ is required. To fully edit 4K video on the iOS app, iPhone 6S or iPhone SE is required.